ITV doesn’t have cold feet anymore. Recently, the network announced it will be reviving the popular UK series Cold Feet for another season. Created by Mike Bullen, the dramedy originally premiered in 1997 and ran for a total of five seasons before ending in 2003. Cold Feet centers on a group of three couples negotiating the highs and lows of romance. 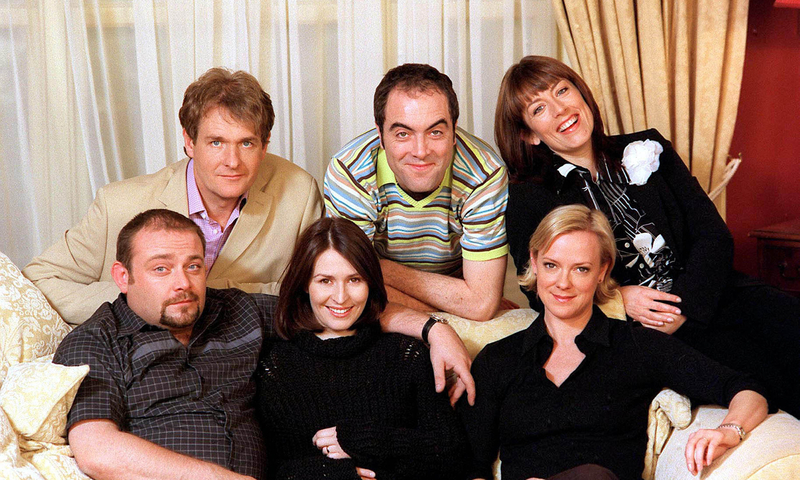 The series starred James Nesbitt, Helen Baxendale, John Thomson, Fay Ripley, Robert Bathurst, and Hermione Norris. Earlier this month, star Ripley revealed ITV was bringing the series back after a prolonged absence. But now the network has officially set the premiere date for another season sometime in 2016. The new episodes will pick up with the characters 13 years after we last left them, with all original actors returning to revive their roles. It’s been 13 years since Rachel’s untimely death. How has Adam coped without his soulmate, raising their son on his own? Do Pete and Jenny still spend their evenings on the sofa, except now they watch Endeavour instead of Morse? And what of David and Karen? They’d split up, but with three children between them, are the ties that bind still strong? What do you think? Are you a fan of Cold Feet? Are you excited there will be more? More about: Cold Feet, Cold Feet: canceled or renewed?, ITV TV shows: canceled or renewed? Ah, such excellent news…except now we have to relive the trauma of Rachel’s death all over again:( But no way we won’t be coming along!